First Joined the JEC in 2002 and two other clubs during the next few years. 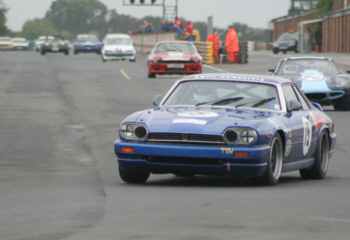 2002 -My first season with 12 races in the UK. 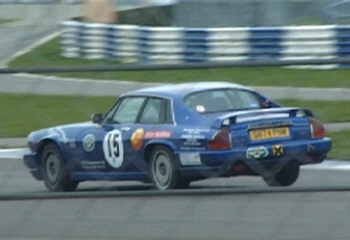 2003 -JEC XJS Championship winner. 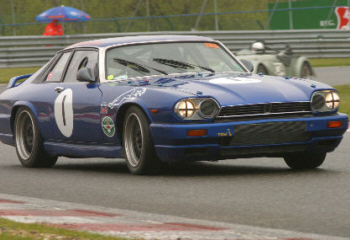 2004 -Won seven out of eight XJS Championship races. 2005 -Blown engine finished any championship chances. 2006 -Clutch failure in the last championship race. 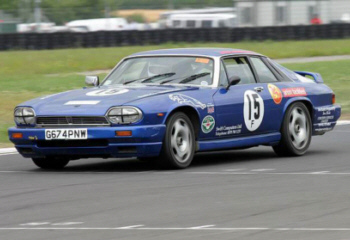 2007 -10 XJS races - 9 wins & 5 CSCC races - 4 wins. 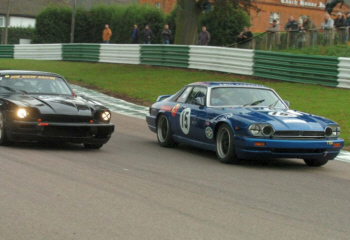 2008 -Classic Sports Car Club Provisional Calendar. Silverstone - 16th March, 2002. By the end of my first 20 minute race I had made up the places and one more to finish 11th. Crossing the finish line for me was so exhilarating, that I punched the roof and screamed. You would have thought I had won the race..... Maybe one day. Many races covered, Highlights and Thrills and Spills from 2002 to 2008. This link will take you to my YouTube channel.